Infants at the First Path Day Care Center are treated with the best of care. Your child’s physical, emotional, social, and cognitive skills are encouraged and developed in a safe, nurturing and stimulating environment. We recognize and appreciate that EVERY child is unique and our environment is especially conducive to a balanced, happy place for your child to grow. Your baby’s teachers will work with you to determine your child’s specific needs and adjust accordingly. For instance, as schedule changes, new foods or different sleep schedules are warranted, we are ready to adapt to your child’s needs. The teachers will also set weekly goals in conjunction with enriching curriculum activities to foster the growing environment your child needs. Parents are always welcome to come in and visit at their convenience. 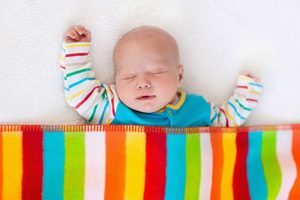 We want to do everything we can to make sure that you feel you do not miss any of your baby’s growth, especially at such a precious and tender time in you and your child’s life.